Mr. Tipples, 39 Fell St. Swing Dancing and Parisian Gypsy Jazz. 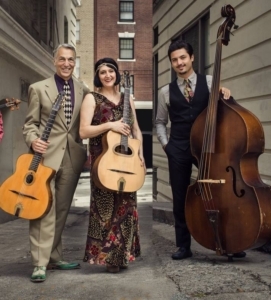 Le Jazz Hot celebrates the music of Django Reinhardt and Stephane Grappelli’s pioneering Quintette du Hot Club de France with style and panache. Lead by Paul Mehling on Guitar, with Sam Rocha on bass.